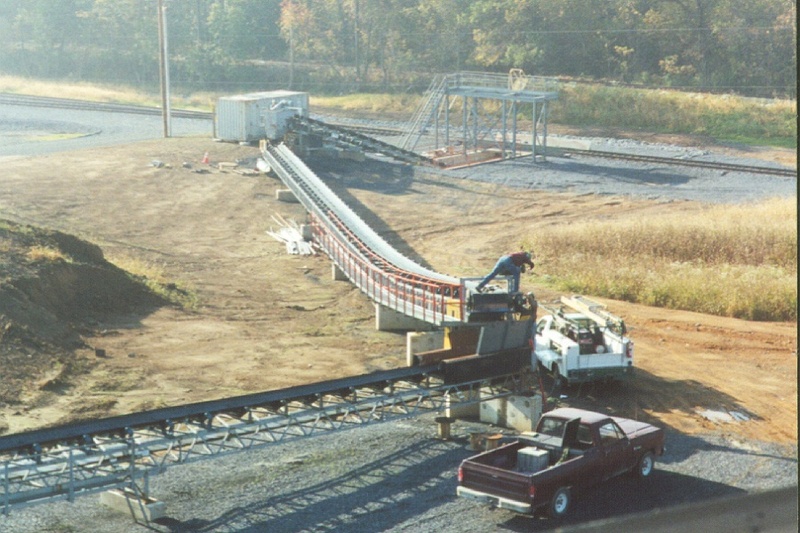 This is the Berks Products Ready Mix aggregate unloading facility located near Leesport, PA. The siding was installed new in the summer of 1999 and was used to unload 25 and 34 car trains of 100 ton open hoppers. The plant is located along the former PRR Schuylkill Branch, now part of the Reading & Northern Railroad. This photo shows the conveyor system which moves sand from the rail hopper pit in the background. The sand moves from conveyor to conveyor and is deposited from a stacking conveyor which can be rotated through about 200 degrees of travel. There was enough storage space for two full 34 car trains or about 7000 tons of sand. 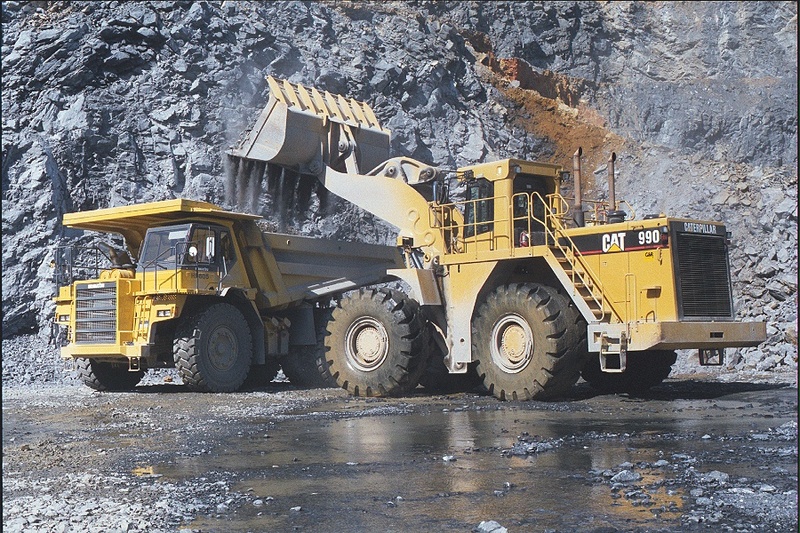 This photo shows the Berks Products quarry equipment used to feed the primary crusher. The truck can carry 70 tons of stone. The loader has a 11 plus yard bucket.